"Because in Maryland, Weeds are a Pain in the Grass!" Blades of Green Lawn Care is a local family owned and operated company specializing in residential home lawn care fertilization programs in Montgomery County, Maryland. 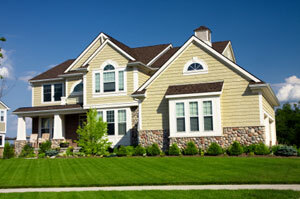 We have provided extraordinary lawn and landscape services through our professional staff since 1989. All of our applicators are field tested and highly trained Maryland State licensed professionals in the field of lawn care fertilization. We are also Environmentally Conscious since our number one goal is to provide our customers with a beautiful lawn by using the safest techniques and products available in the industry. 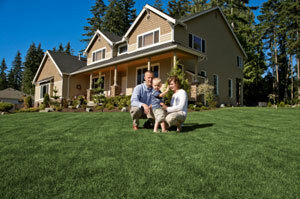 Please ask about our environmentally friendly lawn care program today! At Blades of Green Lawn Care, we know how much money and time our clients put in their beautiful lawns and landscapes. Our professional and timely lawn care and fertilization services are designed to meet all your landscape needs in the following areas of Montgomery County Maryland: Ashton, Aspen Hill, Bethesda MD, Boyds, Damascus, Darnestown, Gaithersburg, Germantown MD, Laytonsville, Leisure World, Montgomery Village MD, Mt Airy, Olney, Brookeville MD, Burtonsville, Chevy Chase MD, Clarksburg, Comus, Poolesville, Potomac, Rockville, Silver Spring, Takoma Park, Wheaton and Woodbine. For more information on the above programs, Click Here. We will eliminate your problem, guaranteed!